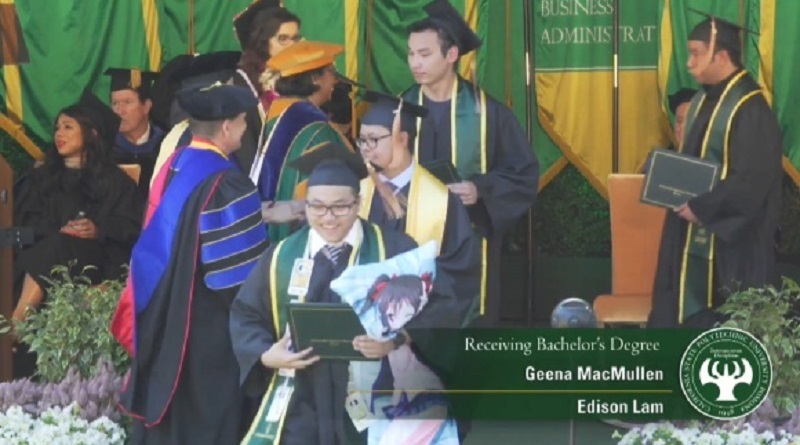 A college student in Southern California caught everyone’s attention after putting his passion for Japanese pop culture on full display during his graduation ceremony. 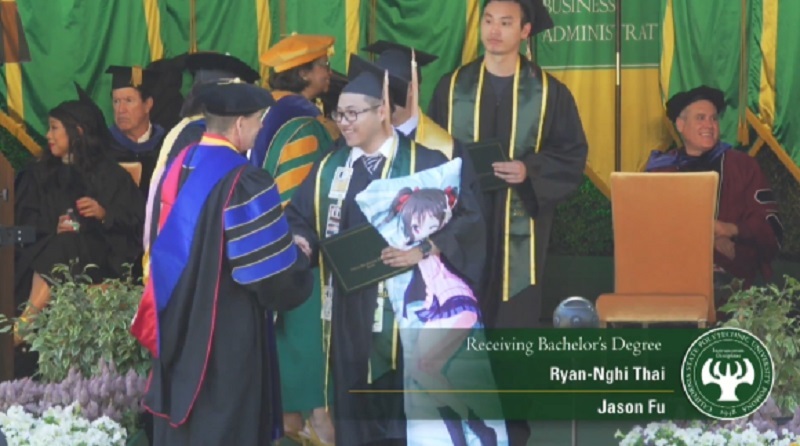 A certified otaku named Ryan-Nghai Thai brought his anime girl huggy pillow along to the stage as he received his diploma from California State Polytechnic University in Pomona, California, according to SoraNews24. Twitter user honkposter shared the unusual moment captured from a livestream of the commencement ceremony. 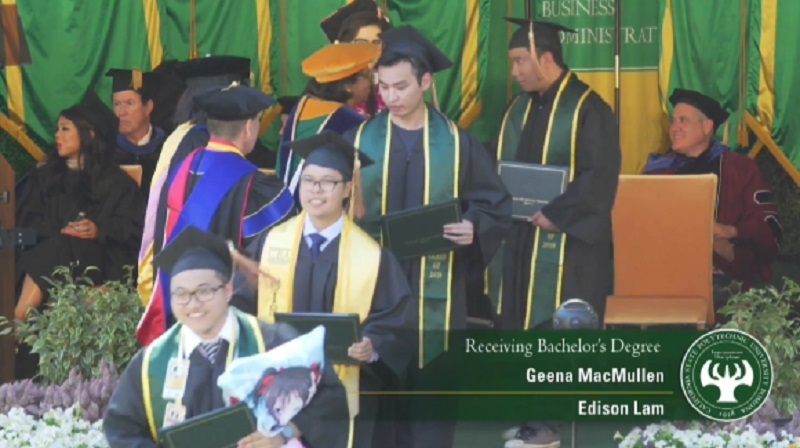 In the snapshot, the business administration graduate can be seen clutching a pillow with the image of Nico Yazawa, one of the members of “Love Live!’s” original idol group. The young otaku attracted giggles from the audience as he proudly marched with a confident grin to receive his degree and a congratulatory handshake. Nghai Thai’s public display of Japanese pop culture love earned him some adoration from fellow otakus online. Well he had to bring his best girl with him. I was actually there in the audience when I saw that. What a legend. As the old adage goes… behind every successful man is his “waifu”.